If you don’t have a proper Dutch oven (with the lid that is basically a more shallow dish too), you can easily use an ordinary cast iron casserole dish – Le Creuset are the best (they don't pay me!). 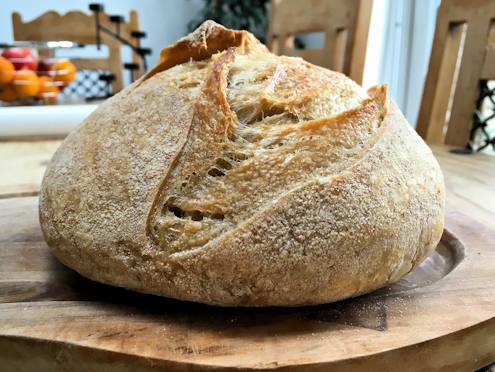 This works great for sourdough but also for no knead bread and any simple loaf that needs a bit of crust. 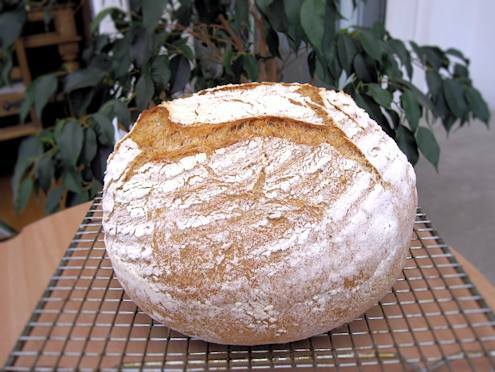 Shape the loaf and prove it in a basket or banneton for 40 minutes – halfway through that time start preheating the casserole dish at 220C/425F/gas 7. 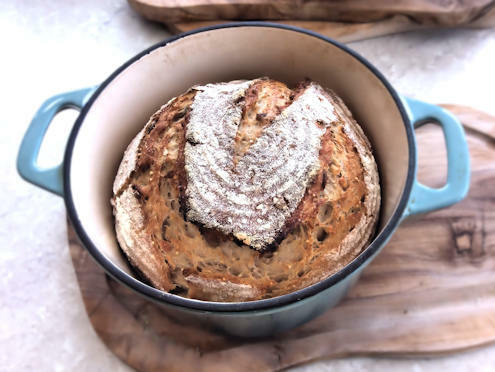 When ready to bake, just plonk the loaf from the basket into the hot casserole, immediately cover with the lid and bake for 20 minutes, followed by another 20 minutes with the lid off.